Inspired by the recent giant Makey Makey (I want one of those too!) 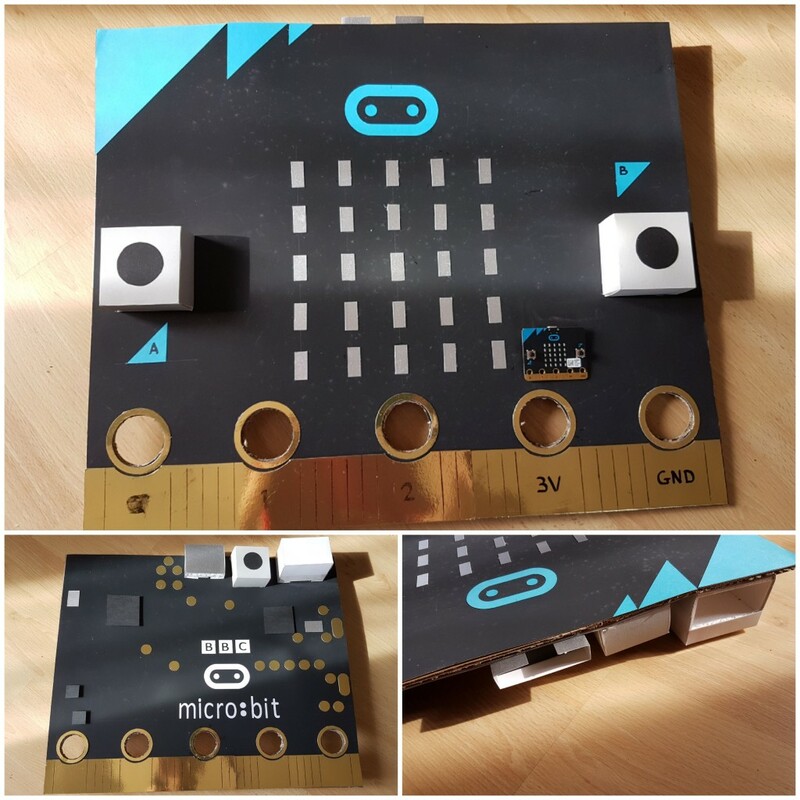 I said I’d love a giant micro:bit I could demo from the front of the class. My dad – an engineer – said he could make one, but I didn’t expect this sort of detail! It’s great to point out the connectors, where to find the processor and sensors on the back, where the Bluetooth antenna’s hidden, etc. It’s a prop, a talking point. It’s 10x scale, as you can see from the tiny (real) micro:bit sitting on top of it. How cool is this? !